Use with glass and metal stirrer shafts. 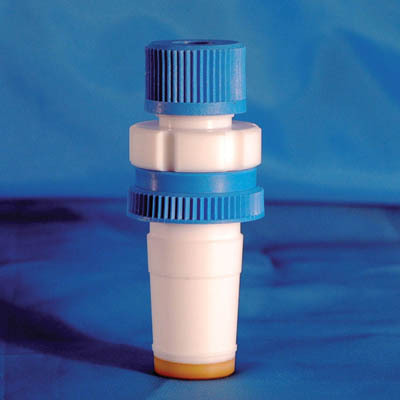 The high-performance stirrer guide is 'B' length cone for Europe and includes a PTFE/PEEK seal. Provides an effective guide for glass and metal shaft stirrers over a range of temperatures without shedding particles from the seal, while maintaining a vacuum. The seal is manufactured from a specially formulated PTFE-PEEK composite and is permanently pressure loaded. Note: PEEK has a very high level of chemical resistance with some susceptibility only to strong mineral acids.